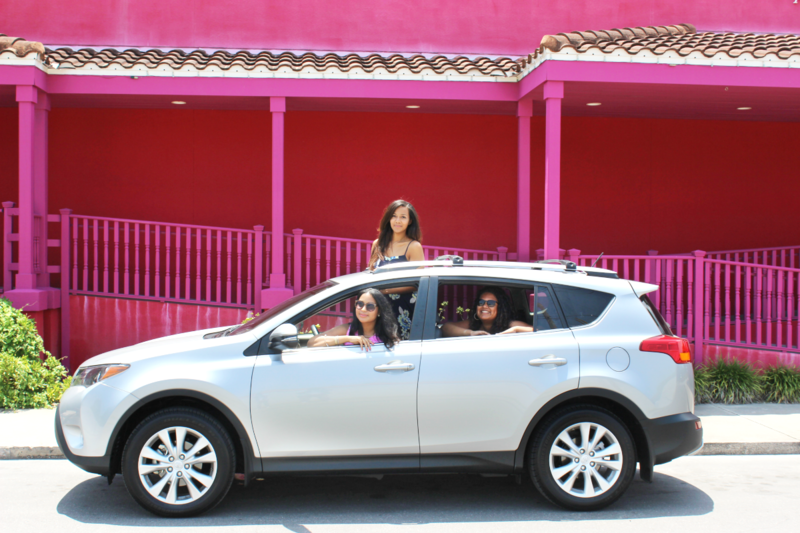 A girl's very first road trip with her girlfriends is a major moment in life. I mean, have you seen Thelma & Louise or Crossroads? A road trip can be life changing, and this weekend, I had my first. With our destination entered into the car's nav, we started our 6 hour drive to St. Augustine, FL. in a 2015 Limited RAV4. On a trip like this, you pick up a few survival tips. My three friends and I jam packed the trunk of RAV4 with bags, shoes, beach towels, hats and anything else we could throw in. Though our bags were packed in, we had more than enough room for the four of us to stretch out and have our own space. I love my friends, but being cramped in a car with them for 6 hours would not have been fun. Now, everybody knows a road trip just ain't a road trip without a playlist. The RAV4 had every way possible to bump some tunes: aux cord, XM radio and our favorite, Bluetooth from our iPhones. And with two charger ports, there was no way we were letting our phones die. Imagine the horror. The further south we got, the more that infamous Florida heat and humidity kicked in. The RAV4 has dual temperature control, so naturally we had it on full blast. The moon roof also kept us cool on the road and let us get a closer look at how beautiful Florida really is. We may or may not have stuck our heads out of it a few times. Being adventurous (and having weak bladders), we stopped several times along the way. We found a cute antique shop in Amelia Island, had an amazing avocado bacon burger at Whataburger, and of course had impromptu photo shoots. It took us about 1.5 tanks of gas to finally make it to St. Augustine. We made it to the beach, walked around historic downtown and had amazing seafood. 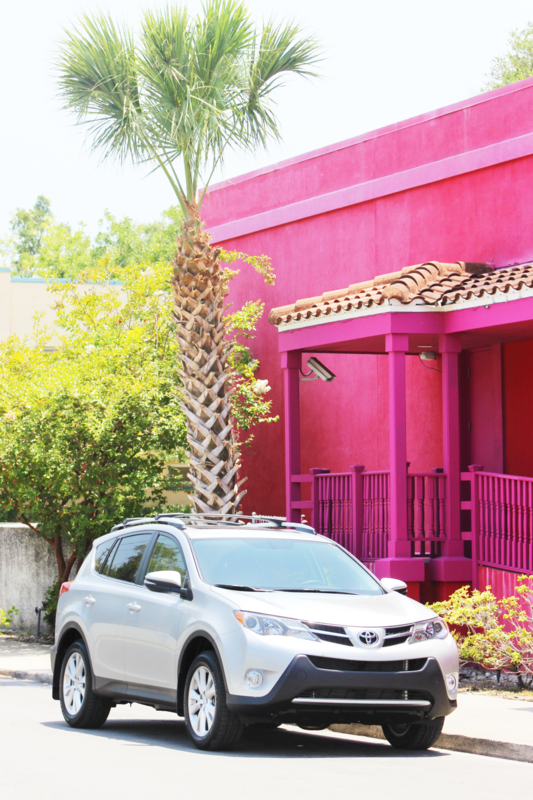 With bright, spanish influence everywhere, St. Auggie's was a picture perfect vacation spot. 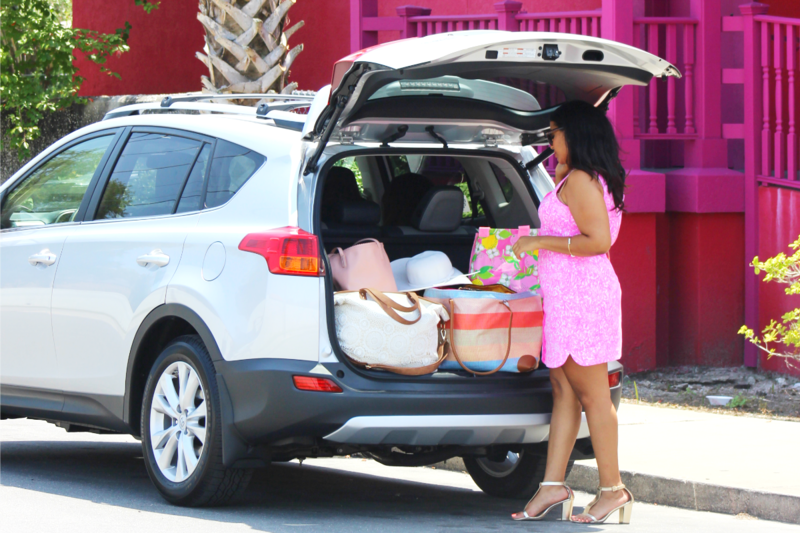 After a great weekend, we all jumped back in the RAV4 and got ready to do it all over again. As they say, sometimes the journey is more fun than the destination. How did you find that amazing spot!! Love that dress and this looks like a fun road trip!! Those are really great photos! The location, the dress... the whole experience. Hope you're having lots of fun! First off I need to take advice on how to look so chic when traveling! Hope you are having a blast! How cute are y'all!!! Looks like so much fun! Can I please look as amazing as you while Road tripping?! You look adorable and I'm loving the hot pink! This looks like soo much fun! That pink house is so cute and I love how you stated everything about the car. So cute! Love these photos! Road trips are always so so much fun! I love all the new feature the car has. Your dress is just so gorgeous on you and I love the colors. Love these pictures. 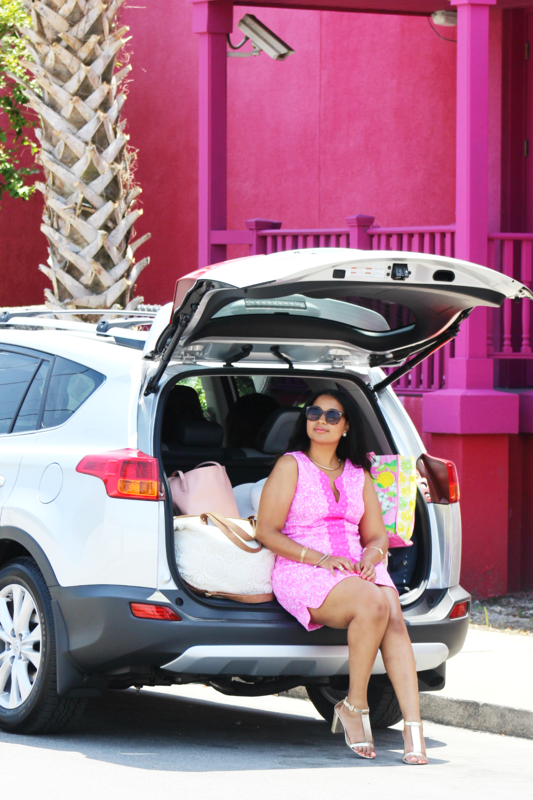 How cool is that pink house and that you got a free car?! what a fun trip, next time come further south so that we can hang. These photos are too fun! 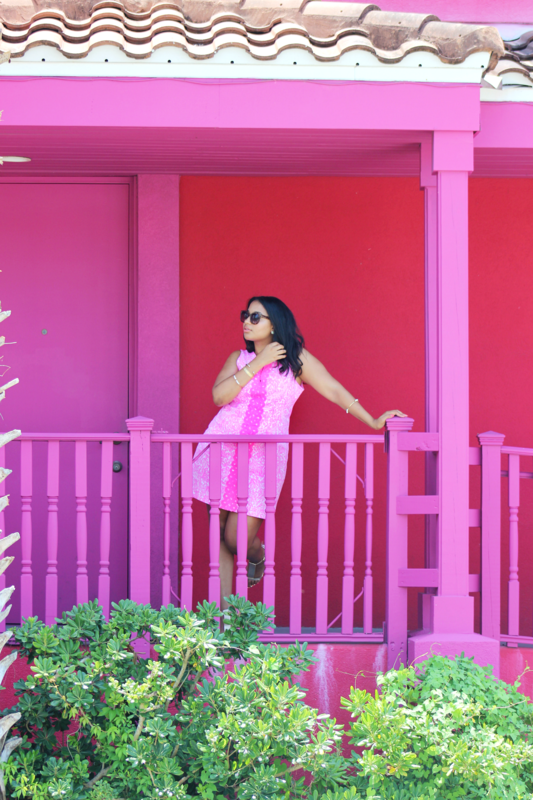 All the pink - I love! Glad you liked the Toyota! I have a 4runner and definitely love it! Such a fun road trip! 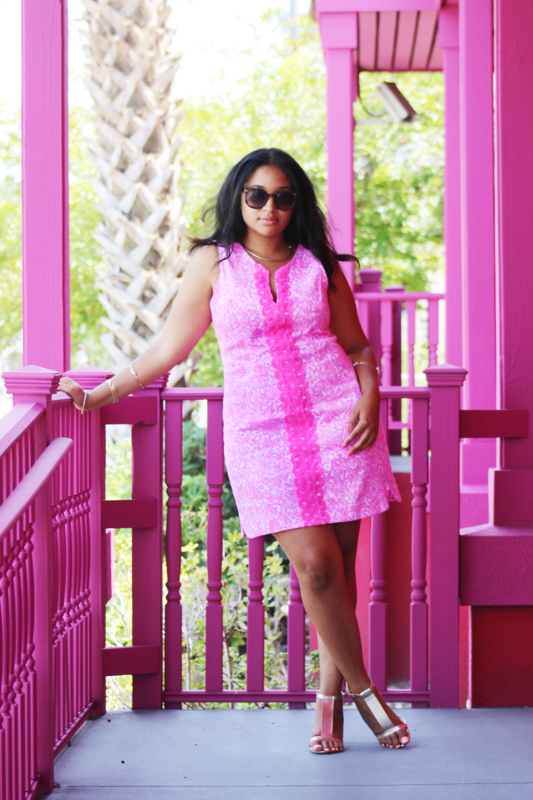 I am loving all the pink in this post! Especially your dress, gorgeous! Such a fun collab! I need a roadtrip!